When it comes to live scribing, Lew Keilar is the king! 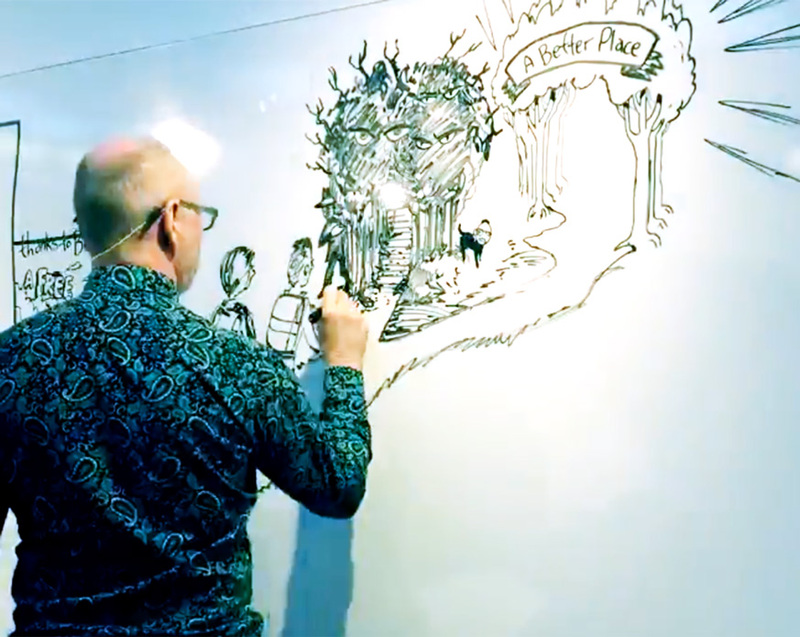 He was recently invited to scribe at a Commonwealth Bank event at UNSW as part of the Cyber Security Education Lab launch – seems his talents with a whiteboard marker are not a well kept secret. Watch the full video here.